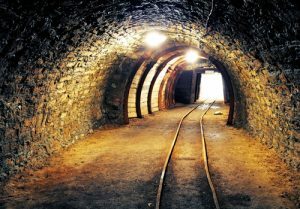 The miners are getting nervous as it appears the world gold supply is running out. Experts are warning that discoveries of gold are becoming more difficult to find. In fact, they expect to hit “peak gold” (which is the maximum rate of extraction) within a year. For the last forty years, production has been increasing, but it appears to have hit the peak and will start decreasing now. Numerous mining companies and industry experts are sounding the same warning. Not only is it ore becoming more difficult to find, but exploration costs are making it more expensive to mine. As the rate of extraction from the ground dwindles, it is difficult to see how gold demand will be met. What this means for investors: One of the reasons gold has been so valued as wealth for millennia is because of scarcity. It sounds like it will soon become even more scarce, if the industry experts are right. Basic economics says that as supply falls, prices increase. Expect dwindling global supply to support gold prices in the long term. The trade war continues. It intensified this week after the President Trump slapped 10% tariffs on $200 billion worth of Chinese goods. China responded with harsh rhetoric and threats of counter-tariffs. What this means for investors:Why aren’t we seeing the upset that happened in 1930 after the Smoot Hawley Tariff Act and ensuing trade war? There could be a few reasons. One is that there was confidence in the U.S. economy before the trade war kicked off, so the effects are taking longer to affect the markets. In fact, confidence is already starting to waver as fears mount of rising prices leading to economic slowdown. It could also be that investors think it will be an easily won war (as the President has asserted) or that the tariffs won’t come to pass. But China, Canada, and the EU have all already struck back against U.S. goods, so escalation seems inevitable. Uncertainty from trade war wasn’t enough to lift gold prices significantly this week. Gold continued to face headwinds from a stronger dollar, as did silver. An expectation on higher interest rates also created some push back on prices. Spot price for gold dipped under $1,250. The summer is historically a slow time for metals. What this means for investors: There are still bullish investors, and there are still reasons to remain bullish. 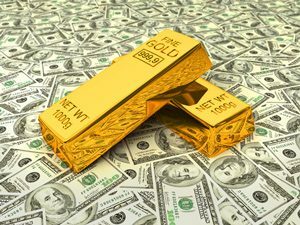 Gold is attracting buyers looking for a bargain who see turbulence ahead. For example, rising inflation in an overheating economy will drive investors back to gold. 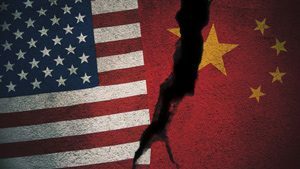 Escalation between the U.S. and China over trade should eventually spur some safe haven buying as well.